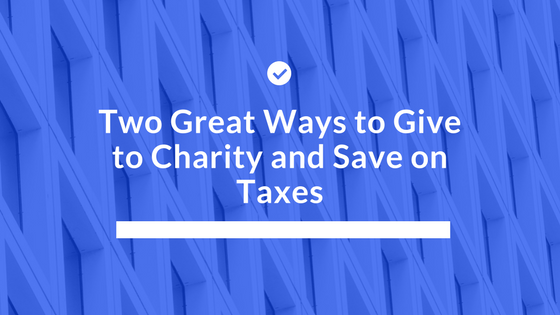 With year-end tax planning taking shape for many of us, the Southeast Virginia Community Foundation (SEVACF) would like to suggest two ideas for donating to charity that could save you additional money at tax time. The first idea is to donate appreciated stock from your taxable accounts. Such stock donations actually get double tax savings. Not only do you get to deduct the full market value of the donation thereby reducing your taxable income, but the donation also allows you to avoid paying the state and federal capital gains tax that you would have owed if you had sold the stock. The second idea is something called a “Qualified Charitable Distribution.” Late last year, Congress passed a law that allows those who are over 70 ½ years old to give up to $100,000 to charity directly from your Individual Retirement Account (IRA). You may use these qualified charitable distributions (QCDs) to satisfy all or part of your annual required minimum distribution (RMD). Those who give to charity using this method get special tax treatment of their gift. Typically, taking money out of your IRA is a taxable event – the withdrawal adds to your taxable income and inflates your adjusted gross income (AGI). However, QCDs do not count as taxable income and therefore have no effect on your AGI. This is significant because your AGI determines a number of things, including Medicare premium costs, the net investment income Medicare surtax, the taxability of Social Security income, itemized deduction phase-outs, and exemption phase-outs, to name a few. So making a qualified charitable distribution to SEVACF allows you to satisfy all or part of your RMD without increasing your taxable income or your adjusted gross income. You must be over 70 ½ on the date of distribution. QCDs are limited to $100,000 per person per year. Only distributions from a Traditional IRA, Rollover IRA or Inherited IRA (where the beneficiary is over 70 ½) are eligible. You may not make QCDs from SEP or SIMPLE IRAs, nor from any type of employer retirement plan; those types of accounts must be rolled over into a Rollover IRA before they may qualify. It’s very important that your QCD go directly to an organization designated by the IRS as a “qualified charity” like SEVACF. Other types of donations, such as donor-advised funds, private foundations and other grant-making organizations, are specifically excluded. To be recognized as a 2016 deduction, we must have deposits, on-line contributions or checks post marked or made by midnight, December 31st. Please keep all receipts and supporting documentation, and, as with all tax-saving strategies, please consult with your tax or legal professional advisor should you have questions. Please call the SEVACF office, (757) 397-5424 for more information or assistance in making a contribution.